Welcome to Southern Ice’s Bargain Store. Southern Ice is NOT in the used equipment business but due to the volume of inventory that we move through our 6 distributions centers, we occasionally have units that are overstocked or factory closeouts as well as some with scratches and dents. Check back often as these attached lists can change daily, as everything will be sold on a first come first served basis. Please contact your Southern Ice sales rep or your local distribution center for more details, including pricing, any applicable freight and any potential warranty details. Most items are new or demo units with full or limited warranty, please make sure you ask for details. Also, it is very important to thoroughly inspect any and all units received via freight carriers for CONCEALED DAMAGE, as Southern Ice is selling these units at a significantly reduced price AS IS. 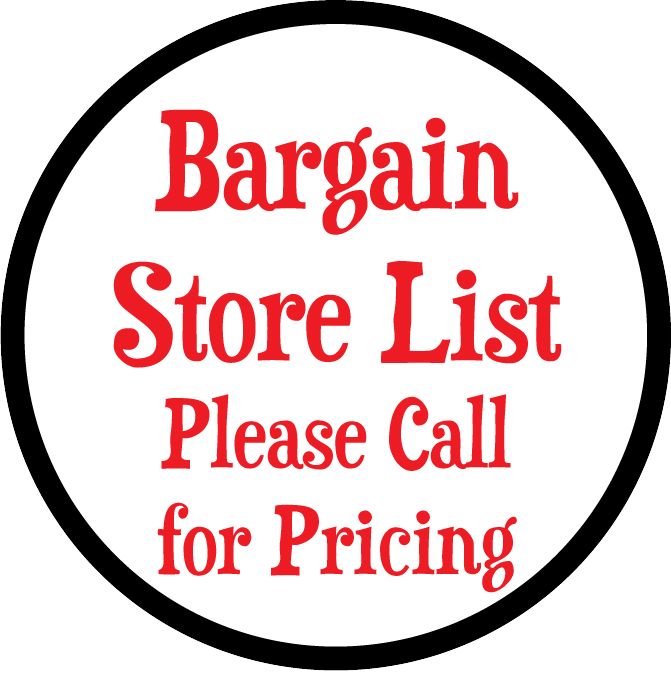 Southern Ice is committed to serving our customers however due to the adjusted prices that we are offering, All Bargain Store item sales are FINAL, AS IS.